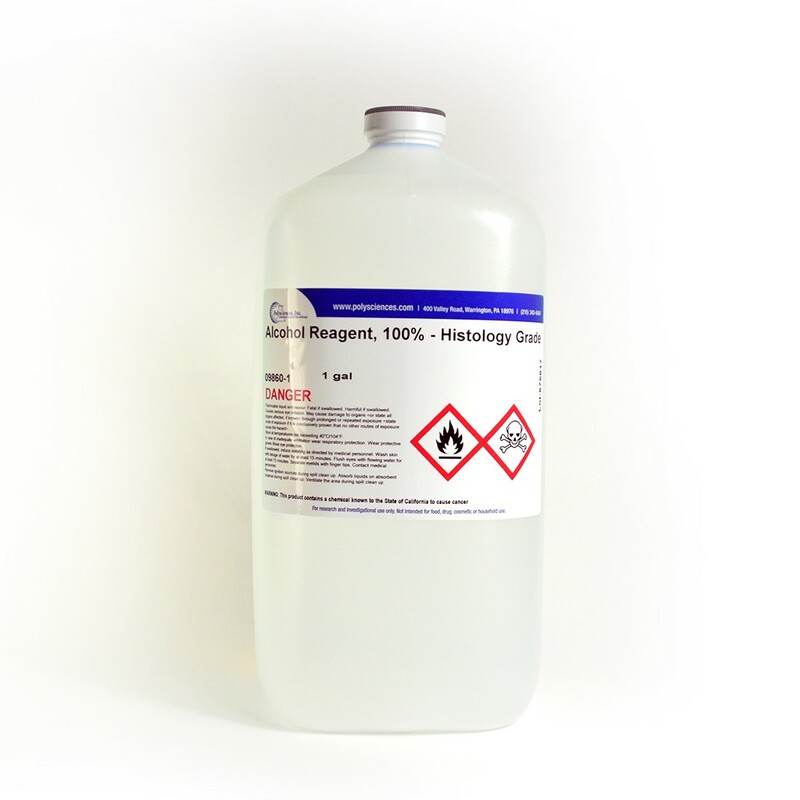 Alcohol Reagent, 100% - Histology Grade | Polysciences, Inc.
Our histology grade Alcohol Reagent is composed of 90 parts ethyl alcohol, 5 parts methyl alcohol and 5 parts isopropyl alcohol, v/v blend. Preferred mixture for dehydrating tissue samples prior to embedding. Suitable for most histological procedures.